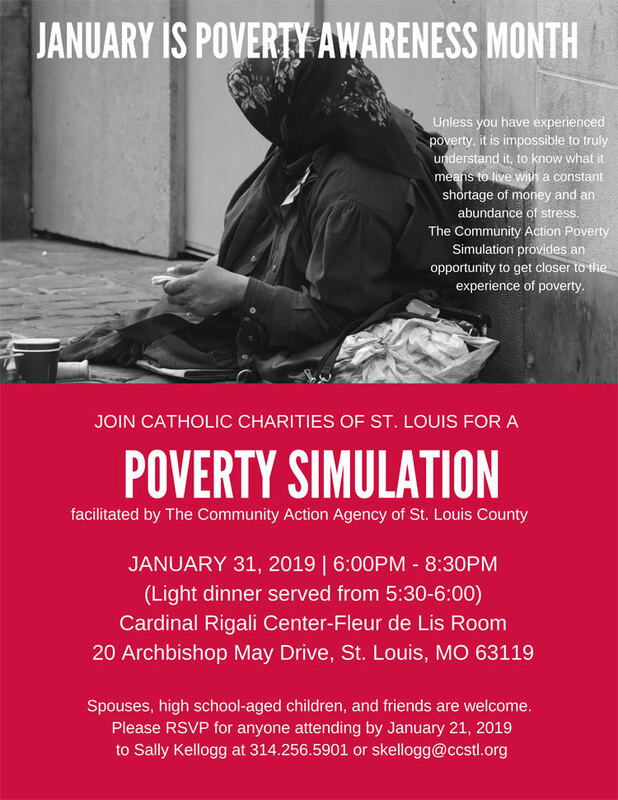 Join Catholic Charities of St. Louis for a Poverty Simulation on January 31, 6-8:30pm at Cardinal Rigali Center. Light dinner will be served from 5:30-6pm. Spouses, high school-aged children, and friends are welcome. Please RSVP for anyone attending by January 21 to Sally KEllogg at 314-256-5901 or skellogg@ccstl.org.